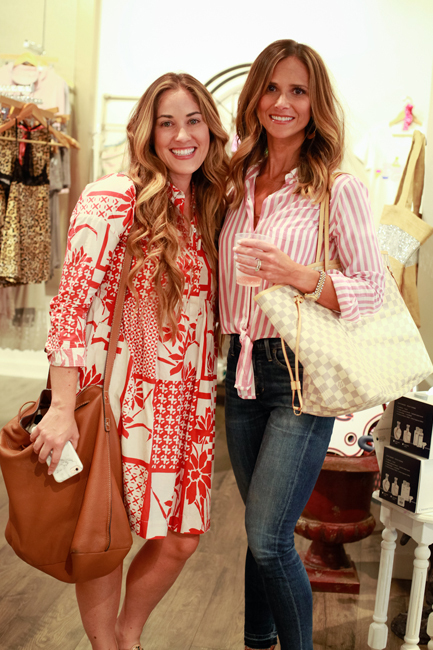 Fashion Bloggers In The House! 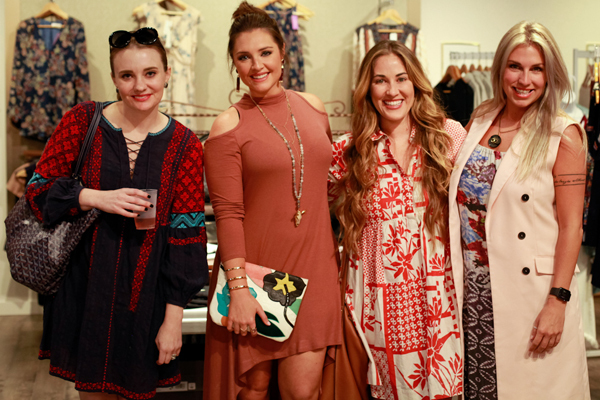 Last night we held our first Fashion Blogger Event! 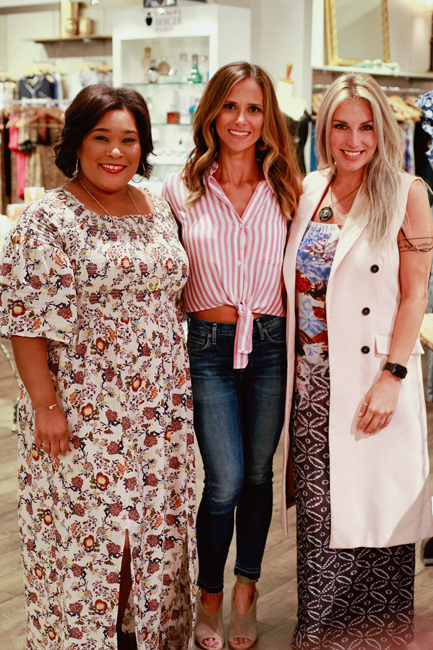 Southern Muse has only been open for less than a year, so we knew we had to reach out to some of the style influencers in the city to come out to sip a little bubbly + shop! With the fashion community here growing more and more each day, we understand the importance of connecting with each other so that it can go from good to great. In addition to nibbles + champagne and a few giveaways, we made up cute little swag bags for the ladies as well. 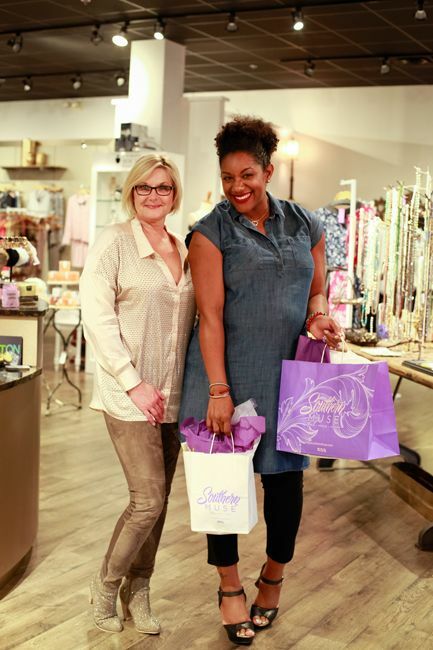 We'd also just gotten in some of our new Fall arrivals from Yana K and Sugarlips, so we loved getting their feedback; when someone squeals with delight while browsing, you know you've done well. Ha! Thank you so much to all of the ladies that came out last night (be sure to check out their blogs). 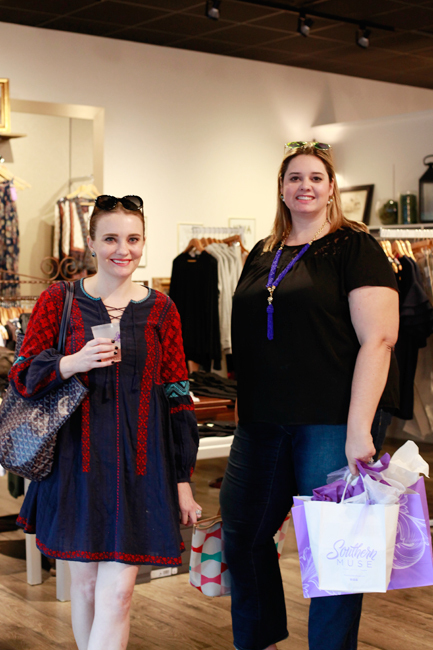 We can't wait to see how you guys style your new pieces (and hang out again)!